This September, T.E.A.L. 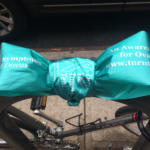 is spreading the color teal all over Brooklyn and beyond to educate communities about the signs, symptoms and risk factors of Ovarian Cancer. 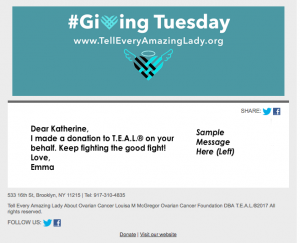 Click here to learn more about our exciting campaign. 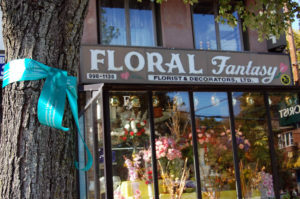 A special thank you to the Marine Park community for supporting our endeavors and helping us to further our mission to spread awareness and end Ovarian Cancer . click here to view more pictures from our campaign!